Northern California has many attractions, but the fact that it's prime tick habitat isn't one of them. Adding to the angst surrounding outdoor activities is that tick hotspots are unevenly distributed on a patchy landscape. One moment you’re strolling through redwood forests, the next through oak forests, and a couple of hours later you may come across scenic chaparral. While on this iconic hike, you probably don’t realize that you've moved through both high- and low-risk Lyme disease areas. The question is, do you know where you are most at risk? The answer is in the oak forest where layers of rich leaf litter are a kind of Club Med for ticks. “Tick season” exists year-round in northern California. The highest risk is in the spring and early summer due to an abundance of juvenile ticks, known as nymphs (the most virulent life-stage). However, peak diagnosis time extends into July, because it can take a few weeks to realize that you have the disease. Summer is also particularly dangerous for Lyme disease because that's when people spend the most time outside, and many of the most beautiful hiking areas tend to be tick-ridden. Most people associate Lyme disease with the Northeastern U.S. and the upper Midwest, and for good reason; the vast majority of cases are reported there, due mostly to the fact that the landscape is blanketed with prime tick habitat. On the west coast, the risk is real, but it’s different. How to prevent a tick bite in the first place. Pesticide options: Chemical tick-repellents or acaricides can be very effective at low dosages. Be sure to read manufacturer's instructions carefully. Clean your body and clothes: Take a shower once you get home from a hike and throw your clothes in a hot dryer for a 1-hour cycle. Check your pets and yourself: Perform a thorough tick check when you get home. Ticks can travel into your house on dogs and cats. “There are definitely patches in California where the risk is just as high as the East –it’s just not the same spatial extent,” says Dan Salkeld, research scientist at Colorado State University. The overall abundance of Lyme ticks is relatively low on the West Coast; however, the risk is spread unevenly. Hikers can move from high-risk area to a low-risk area and never know it. Part of what puts Californians at risk is a lack of awareness -- among the public and even among doctors. Much of the research and public health information is based on east coast ecology and may not apply to the West. For many Californian physicians, Lyme disease is just not on the radar, even though according to the Bay Area Lyme Foundation, Lyme-infected ticks have been located in 42 of California’s 58 counties (highest incidence were in Trinity, Humbolt and Mendocino as of 2014). About 100 cases of Lyme disease are reported in California each year, but according to Supervising Public Health Biologist Kerry Padgett of the state Department of Public Health, the disease is likely more widespread. “There is an under-diagnosis and under-reporting of Lyme disease in California,” says Padgett. 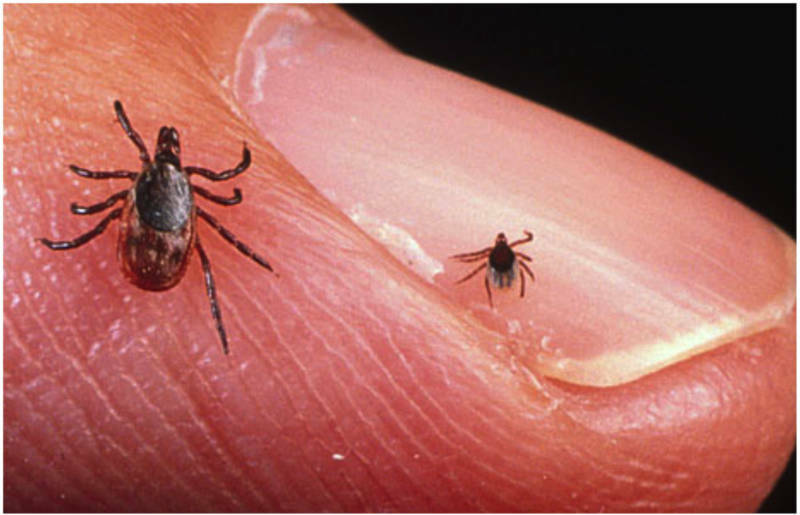 Lyme disease is caused by a microscopic spiral-shaped bacteria called borrelia burgdorferi. On the west coast, these Lyme disease-causing bacteria live inside the guts of the western blacklegged tick and can travel into the blood streams of bitten animals.Ticks generally live for two or three years. They are born Lyme-free, and will contract or transmit Lyme during feeding, once during each of their three life stages. 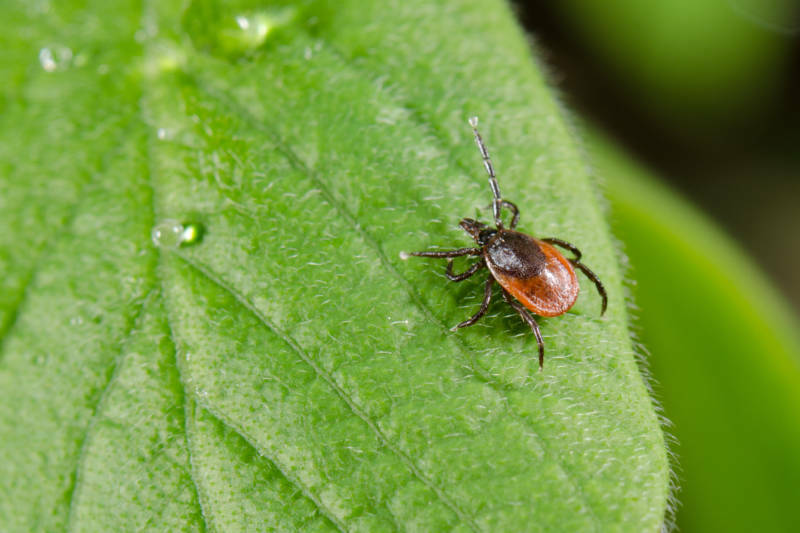 When a Lyme-infected tick bites, it typically takes 36-48 hours for the bacteria to make the journey from the tick’s gut to their mouth and into the blood of their host. The process can take as little as 24 hours. Only 15-20 percent of backlegged ticks contain Lyme disease during their nymph stage, and that number is much lower, 1-2 percent, in adults. To determine disease risk of a particular place, researchers look to some of the tick's favorite foods. The most common reservoir of Lyme disease -- the species that initially infects ticks — is the western gray squirrel. So avoid gray squirrel habitat and you’re safe? Not so fast. 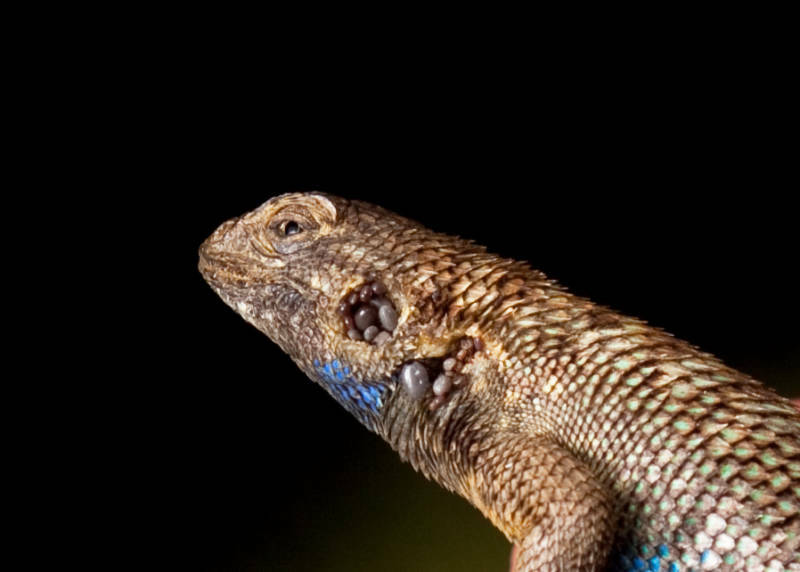 Enter the blue-bellied lizard (also known as the western fence lizard), which is naturally immune to Lyme disease, and has special proteins in its blood that will cleanse infected ticks of the pathogen. If you find a tick on your body, don't panic! Remove the tick and keep track of what happens. Is the tick feeding? That is, is the tick embedded in the skin? Clean the bite area with rubbing alcohol or soap and warm water. How long did it feed? If it’s less than 36 hours, there's a high probability that you are safe. Pay attention to your symptoms. If in 6-to-12 days, you have any kind of fever, go and see a doctor. 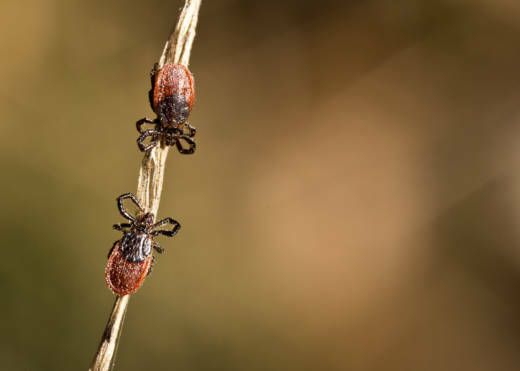 A bulls-eye rash around the tick bite is a sure-fire way to know if you’ve contracted Lyme, but this symptom only shows up in 50-70 percent of cases. Other symptoms include headache, fatigue, and skin rash. So, a tick could feed on a squirrel and contract Lyme, which could then be neutralized when it bites a lizard. Lyme disease involves many different species and is ecologically complex, which makes it a notoriously difficult problem to solve for researchers and public health officials. “Medicine has the tendency to want a vaccine or a clear antibiotic silver bullet, and I don’t think the Lyme system gives us that luxury,” says Nieto. California’s diverse landscape and the complex interplay among species makes predicting Lyme tricky. However, the greatest risk posed to Californians might be a lack of awareness. Doctors here are less likely to suspect Lyme when patients come in with characteristic symptoms. “I have talked to physicians who say that they are not aware of Lyme disease in California,” says Salkeld. Organizations, such as the Bay Area Lyme Foundation, along with researchers like Nieto and Salkeld, are working to change the narrative and build the necessary evidence to make doctors aware of the scale of the problem. The foundation has a program offering free tick testing nationwide, which aims to map tick-borne diseases across the country by encouraging concerned citizens to send in samples.